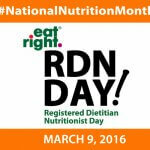 First of all, I just want to wish a very Happy Registered Dietitian (Nutritionist) Day to all of my fellow RD’s! 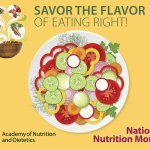 🙂 It’s pretty exciting that we get a whole month to promote our passion and profession to the world — March is National Nutrition Month if you didn’t know — and we also get a special day to be recognized for all of our hard work. I absolutely love working in a field that is so versatile, ever-changing, and growing more and more every day. 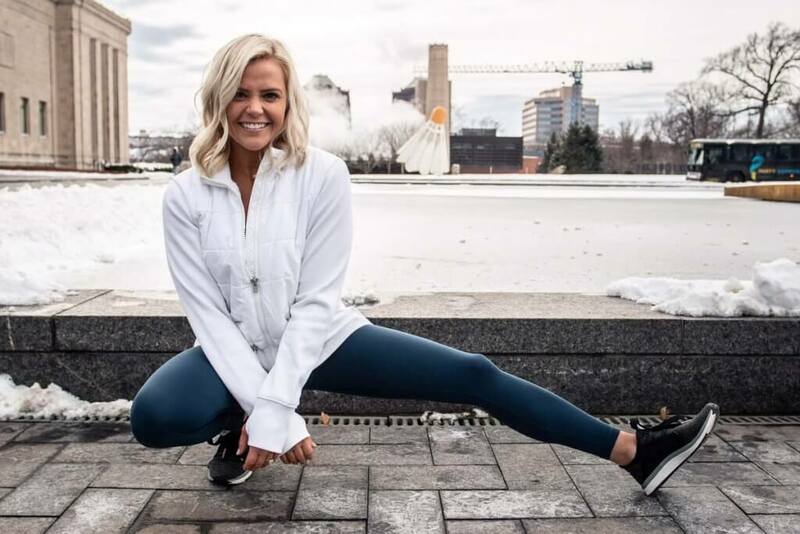 As a Registered Dietitian I can work for a hospital, school district, corporation, long-term care facility, with collegiate or professional athletes, at grocery stores, WIC clinics, government agencies, athletic clubs, and more. Hell, I could even start a private practice if I wanted to. Maybe someday. 😉 But in all seriousness, dietitians are becoming more valued all the time, and I couldn’t be more proud of that. As the years go by, more people are beginning to realize the importance of proper nutrition for weight loss/maintenance, athletic performance, and just overall good health and wellbeing. I feel so lucky because my career just so happens to be my biggest passion in life. I love food, especially healthy food. 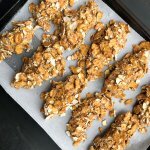 I love to cook and try new recipes, and then share them with all of you. I love nutrition and teaching clients how they too can enjoy following a healthy diet. I love exercising and motivating others to find ways to be more active in their daily lives. I love being a source of inspiration and cheering others on during their own personal health journeys. That journey looks so different for each individual, which is so important for everyone to understand. There is not one best way to improve your health. Different things work for different people, so you have to find what works for you. It absolutely makes my day to hear from a client telling me how excited they are about eating more fruits and veggies, or that they tried and loved a new, healthy recipe, or lost a couple pounds, or that they have been making more time for exercise (and loving it), or how much better they feel since they made lifestyle changes. Once they realize that better health truly is attainable and enjoyable, they are changed. In an amazing way. While helping a wide variety patients and clients improve their health is incredibly rewarding, it does not come without its challenges. As I mentioned in my post “The Ultimate Motivation“, many of the individuals we work with are extremely resistant to change. No one wants to be told they can’t eat or drink the things that they’ve been eating and drinking their whole lives, and I certainly don’t blame them. However, everyone is so focused on the things they have to give up (fast food, soda, a sedentary lifestyle), rather than all the amazing things they have to gain (improved energy levels, increased self-confidence, increased muscle mass, weight loss, overall better health, etc.). Most people assume we are automatically going to tell them they have to lose “x” amount of weight and that they can’t eat this, this, or that. Trust me – that is not what we want to do. We are here to help you find simple, realistic ways to improve your diet, while making sure you are still satisfied and even allowing you to enjoy some of your favorite guilty pleasures in moderation. Eating should be an enjoyable experience for everyone; it should not seem like a chore. Coming from someone who absolutely loves to eat, and eats very healthy (most of the time), I am here to tell you that healthy eating can be extremely delicious, too! You definitely have to be willing to step outside your comfort zone and try new things, and you will most likely be pleasantly surprised. Another challenge that we face is the fact that new research is being conducted all the time and things are constantly changing. As dietitians, we have a responsibility to stay informed about the latest scientific studies and results so we know what to recommend to our patients, clients, and even our family members. There is a lot of misinformation on the Internet and social media, and people spreading “nutrition information” who are not necessarily qualified to do so. It is our job to be the voice for nutrition and set the record straight about all the conflicting evidence out there. Unfortunately, there are new findings all the time and in many cases “more research needs to be conducted” to determine whether or not something is truly beneficial for your health. Make sure to say thank you to a dietitian today! How I am celebrating National RD Day, you ask? By eating… PIZZA! Seems a little backwards, right? 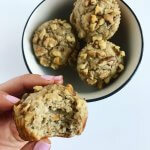 Well, this version is delicious and guilt-free, because it includes lean protein, veggies, low-fat dairy and whole grains! It is also super easy to create different variations of these cute little mini pizzas! This particular recipe is a vegetarian “sausage” pizza with spinach, but I will show you another version [Mediterranean style] that I made last week with some different and equally delish ingredients. These pizzas make for an awesome lunch along with a small side salad, or would pair really well with zoodles for an Italian inspired dinner meal! Slice English muffin in half and insert in toaster for a few minutes to make it slightly crispy. Water will evaporate by the end of cooking. 4. Add 1 heaping Tbsp of sauce to each half of the English muffin and spread evenly. 5. Top each half with spinach leaves, Grillers Crumbles, and mozzarella cheese. 6. Place prepared English muffin on baking sheet covered with foil and insert into preheated oven for 4-5 minutes, or until cheese is melted and pizza is heated through. 7. Remove from oven and add Italian seasoning and crushed red peppers to taste. Serve along with zoodles or a small side salad! Enjoy! Pizza on the right is made with hummus as the base, topped with fresh spinach leaves, shredded rotisserie chicken, feta cheese crumbles, and some tomato sauce – which I would sub for sun-dried tomatoes if I had them at the time! A delicious Mediterranean-inspired alternative! This recipe looks amazing! I’m definitely going to try it out. I look forward to completing my dietetic internship in July, so I can become a registered dietitian and start my journey! Thank you – let me know what you think!! And congratulations to finishing up in July! You’re so close!!! 🙂 Enjoy the journey – it’s a great one.